Replay of our 4/9/19 Live Podcast on Twitch. Live Every Tuesday at 8PM EST / 5pm PST. 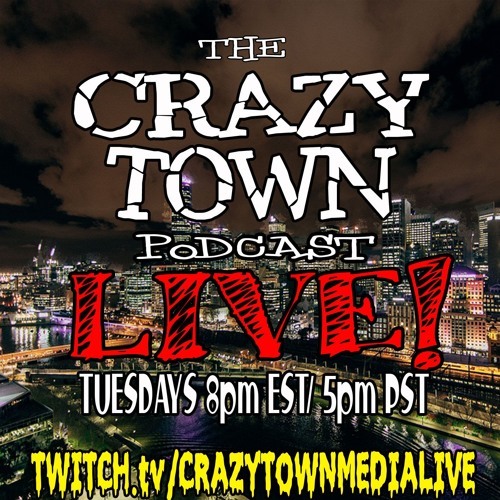 twitch.tv/crazytownmedialive Topics include: - Nipsey Hustle Shot Dead - Man Killed for Doing Something Nice - Update on Jussie Smollett - Update on Aunt Becky's School Scandal - Dubstep and Mosquitoes - Diets Leading to Death - Nas X Country Rap BIllboard Issue - CBD Heading Towards out Foods?